Ever had a thought which was so genius, you wish you could sell it off for millions of dollars? Well, assuming your idea is good and people do value it, you have a few options. You could sell it, yes, or you could secure it and credit it to yourself using intellectual property law. Intellectual property law is the theory behind trademarks, copyrights, and the reasons people have to pay royalties on songs. It goes far back in history. It went into to the US constitution over fifty years ago. Want to learn more about what it takes to mark an idea as your own? Read below. 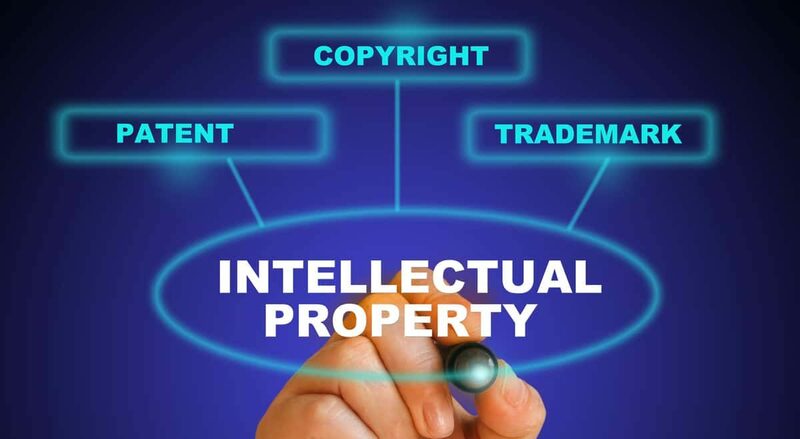 To give you an idea of what intellectual property law is, we have to define intellectual property. What exactly can you brand? Well, there are a few branches of property law. You know them best as copyrights and trademarks. The biggest difference between the two is that copyrights are for artistic property. Trademarks, on the other hand, are for names and slogans. A trademark is the reason you can’t go out and make your official motto “Eat Fresh”. Subway owns that and can sue you. A copyright is a reason why you can’t publish the exact same book as someone else, then call it your own. But more on those details later. The law part of intellectual property law is the process of applying for, getting, and governing trademarks and copyrights. There’s a process that exists and it costs money to go through. There are many hoops to jump through, so most people hire a lawyer with expertise in that area. There are different lawyers that work with businesses and those that work with musical artists to secure the rights to their works. Or, you may find a lawyer or company like PAIL(R) Solicitors that can do both. If you have an artistic idea or expression that you can capture in physical form, then you can apply for a copyright. This applies to a specific character, a book or poem, a symbol (like the artist formerly known as Prince) or a movie. The idea has to be represented in some form since you can’t stop someone from thinking the same thing. You can only stop them from misusing it or passing it off as their own. Have you ever seen shirts or items with a reference to your favorite characters? Maybe instead of Hello Kitty’s perky face, she’s missing the bow, or the colors are off. That’s an attempt to go around the copyright and avoid paying any licensing fees. If you wanted to use the actual and licensed hello kitty, you’d have to contact Saniro. They have the copyright and to use the cartoon character, you have to have their blessing. Their blessing comes with a fee, which is why you always see officially licensed stuff cost more than other garments of the same type. Lularoe is a good example of this. The controversial legging and clothing company produces leggings at $25 a pair. But if you want their Disney printed offerings, you pay $30. It’s five dollars extra so the company can recoup what they paid to license Disney. On the other hand, trademarks cover things like short words, names, or phrases. If copyrights are for artists, then trademarks are for businesses. If you wanted to open a soft drink company, you couldn’t name it Pepsi. Why? Because Pepsi is a trademark, held by their parent company, PepsiCo. The same rule applies with CocaCola. Obviously, non-soft drink companies and products apply too. You can’t call your brand of potato chips Lays or Fritos, for that matter. Trademarking is the reason we can no longer call the late artist formerly known as Prince, simply Prince. The record label the artist worked with trademarked the name Prince, along with the symbol. When he broke up with that record company, they still had the rights and they didn’t transfer or sell them over. The idea behind them keeping the trademark was if he wanted to use it again, or sell merchandise with the symbol, they’d still get the payout. Now that you have some examples of what trademarks and copyrights protect, let’s talk about a new development in Intellectual property law. Literary circles and the general public frowns upon plagiarism. But unless you’re selling someone’s words and crediting yourself, it’s not illegal. You are able to copy and paste an entire website and claim your version, unchanged, as your own. We’re not encouraging this, but we’re showing you where the problem lies. Think about that in the terms of hackers. Hackers could recreate an entire site that looks like something else to take peoples money. The money part would be illegal, but they could create the same site. That’s where legal professionals saw the need to create cyber intellectual property law. It’s still in its budding stages, but with more and more cyber attacks the need is growing. If you’re interested in learning more about cyberlaw, Harvard put together a good guide. If you think you have something that applies to copyright or trademark standards, you shouldn’t wait to apply. You never know when someone may steal your idea or who’s willing to pay you to use it. The process is worth exploring and the payout could be nice. Want to explore it with a professional that understands intellectual property law? Search for a lawyer here.